How do you continue a slasher franchise when the killer was dead the entire previous installment. Well, you Frankenstein the hell out of him! 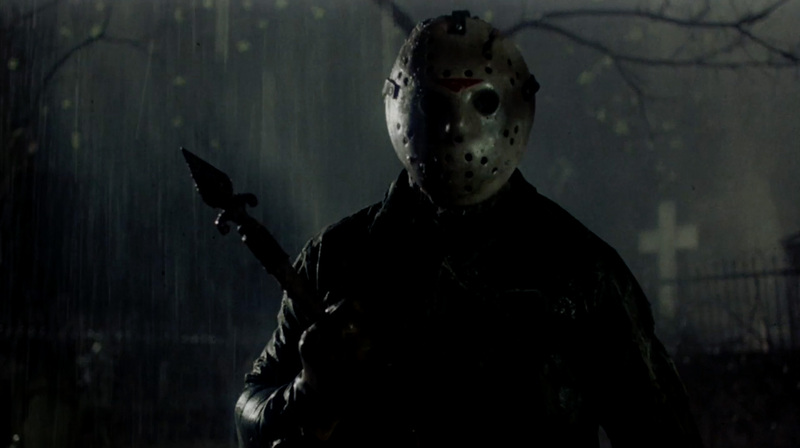 Jason Lives: Friday the 13th Part VI makes no question of whether or not Jason Voorhees is back. 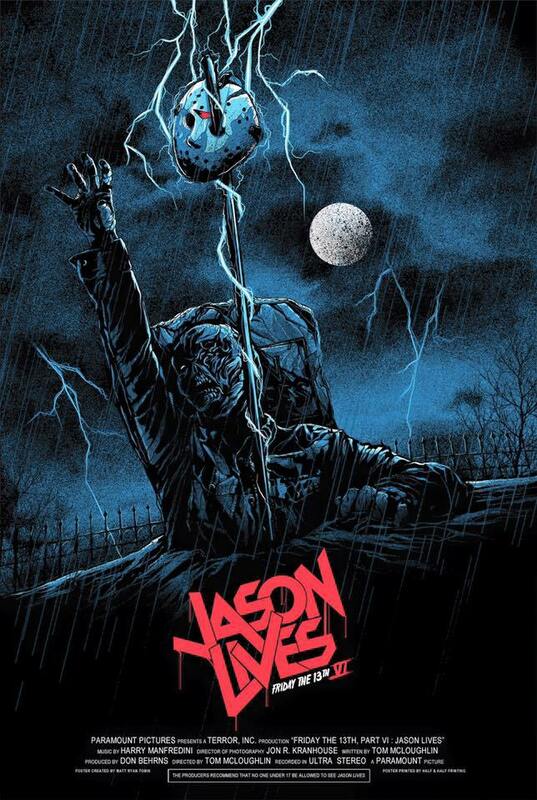 Tommy Jarvis (Thom Mathews, The Return of the Living Dead, The Peacemaker) killed Jason years ago as a child, and now, as part of his emotional recovery from the past, he returns to Jason’s grave to destroy Jason’s body forever. When he inadvertently causes the resurrection of the masked killer, he finds that no one believes him. Sheriff Garris (David Kagen, Getting Even with Dad, Boris and Natasha) has him arrested, believing him to be just as dangerous as the undead Jason. Thankfully, the sheriff’s attractive teenage daughter Megan (Jennifer Cooke, Covenant, TV’s V) has her eyes on Tommy and believes him. Now, the newly renamed Camp Forest Green has opened, and the youthful campers have arrived at what could be a murderous buffet for Jason, and time is running out. Writer/Director Tom McLoughlin (The Unsaid, At Risk) delivers the most meta and self-aware horror film of the Friday the 13th franchise and perhaps all of horror at that point. McLoughlin infuses his film with all the elements that this franchise needed. First of all, it made Jason a zombie, further explaining his unkillable force at work. He brought actual campers to the scene, a first for the series, adding a level of terror and suspense to the proceedings. The best element, though? He has fun with the material while never truly bastardizing the horror elements for a laugh. This is a tough line to walk, but McLoughlin walks it perfectly. Let’s face it. After six films, this formula would be wearing thin if not for a fresh flavor, and that’s what we get. 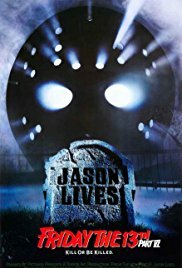 Jason Lives is the best film in this franchise (there, I said it). The performances here are serviceable at best, but that’s also something we’ve come to expect. The true star here is C.J. Graham’s Jason. Graham had never acted before, but his background in the military makes Jason an unstoppable killing machine. There’s a scene where Jason brutally murders some paintball-playing adults, and he stops for a moment to realize that he is more powerful than ever. Graham’s stoic performance is subtle enough to never fully steal the show, but he is a worthy addition to the long line of Jasons. So there we have it. Six films in, and the franchise feels fresher than ever. The formula isn’t going to win a lot of new fans over, but this is a Friday the 13th for the die-hard fans, a celebration of the series. It’s fun while never being too funny, and it’s scary while never trying to over-complicate things. It’s just a fun film to watch, particularly in a large group. Check it out this Friday the 13th if you can. For my review of Sean S. Cunningham’s Friday the 13th, click here. For my review of Wes Craven’s A Nightmare on Elm Street, click here. For my review of Steve Miner’s Friday the 13th Part 2, click here. For my review of Steve Miner’s Friday the 13th Part III, click here. For my review of Joseph Zito’s Friday the 13th: The Final Chapter, click here. For my review of Jack Sholder’s A Nightmare on Elm Street 2: Freddy’s Revenge, click here. For my review of Danny Steinmann’s Friday the 13th Part V: A New Beginning, click here.